Winter can be a challenging time of year for driving, especially in the northern hemisphere where roads can be icy and dangerous. You may want to consider choosing a vehicle with durable tires before bad weather hits to make sure you're safe. Many different kinds of winter tires exist on the market today. You can select studded snow tires, which have metal actually inside the tire tread. When these metal studs pierce ice, they provide added traction for your vehicle. Sometimes no matter how much you try to keep your vehicle out of harm's way, your windshield may become damaged by a small crack or a chip. In these cases, if you don't want to get the entire windshield replaced, there is an alternative. Windshield chip repair is possible to strengthen the glass while also saving you money. When you're making a winter survival kit, think about the things that would make being in your car for an extended period of time in cold weather bearable. Keep a small bag of salt that you would normally put on the steps at your house so that you can put it on the ground around your tires. This can sometimes give you just enough traction to get your car unstuck. We here at European Masters want to make sure that you and your family always remain safe while out on the road. That is why we also want to be sure that you know the importance of maintaining the proper tire pressure and keeping enough tread on your tires and how to check them. Is a Hatchback the Right Choice for Me? 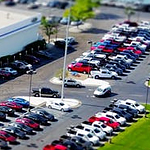 When shopping for a car, you might be considering a whole range of styles and brands. If you've had a sedan in the past and are wondering if switching to a hatchback may be the right choice, it pays to think about your needs and how you plan to use your car. Why Consider a Windshield Wiper Blade Replacement? Every time that you use the windshield wiper blades on your vehicle, the rubber breaks down a little more. That isn't the only thing working against your wipers. The reasons the windshield wiper blades wear so quickly is because they are made up of mostly rubber elements. This rubber will begin to break down from oxidation, direct sunlight, and even just passing over the glass to clear your field of vision. Once the rubber becomes hard and brittle, the windshield wiper blades leave streaks and blurry patches on the glass where you need to see. One of the things we do here at European Masters is like to inform buyers of all their options. Here are a few things to consider about buying a used vehicle. Regardless the condition of the used car, you don't need a mechanic to help you discover the history of this vehicle. All you need to do is request copies of the vehicle history reports and you are going to discover how many previous owners there were, if the car was in a flood, and if it was ever in an accident. When college students take a car, truck, or SUV back to school, they must make sure that the vehicle gets proper maintenance. For many young drivers, this may be a first-time responsibility. It is essential or young drivers to get familiar with the auto, learn to listen for unusual noises, and organize a program for maintenance. As much time as you may spend preparing for football Sunday each week, there are probably items that you frequently forget. It's just the beginning of football season. 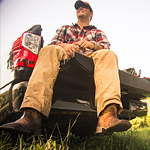 Now is the time to make a checklist that you can use to pack up your vehicle each week so you are ready for tailgating. Let us here at European Master help you make a successful list. Don't forget to bring those tickets! So many people focus on preparing for the pre-game festivities that they forget what they need to get into the gates.